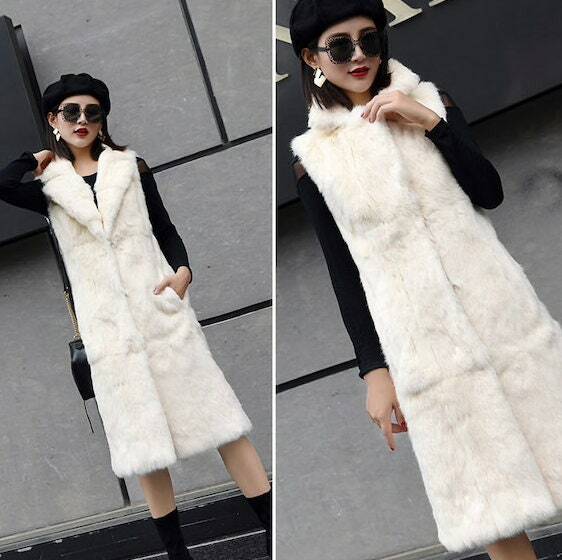 Rabbit & Fox Fur Vest, Rabbit Fur Vest, Real Fur Vest. 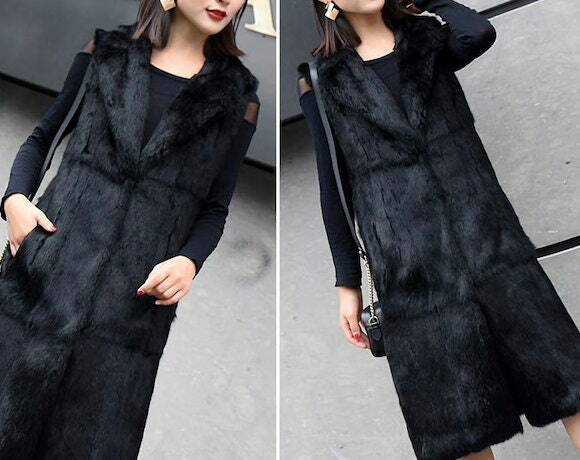 Rabbit fur vest with fox fur collar and fox fur pom poms, very cute, measuring 54co - 57cm in length. Please see photo for my many colours and just message me with the colour you want if you do not see it in my options.